The ProKennex KI Q 5 tennis racket is manufactured from ultra high modulus graphite which is the stiffest grade of graphite, lighter than a standard graphite and titanium. 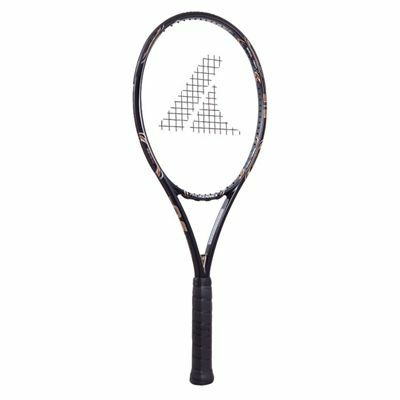 The racket has a head size of 100in2 (645cm2) and features an open string pattern (16x20) for more spin and an amazing feel. This 11.1oz racket is head light balanced to allow for moving the racket much faster and playing reaction shots better. It is most suitable for intermediate players and provides plenty of power and control. Additionally, the racket comes with a full cover for protection. for submitting product review about ProKennex KI Q 5 Tennis Racket.